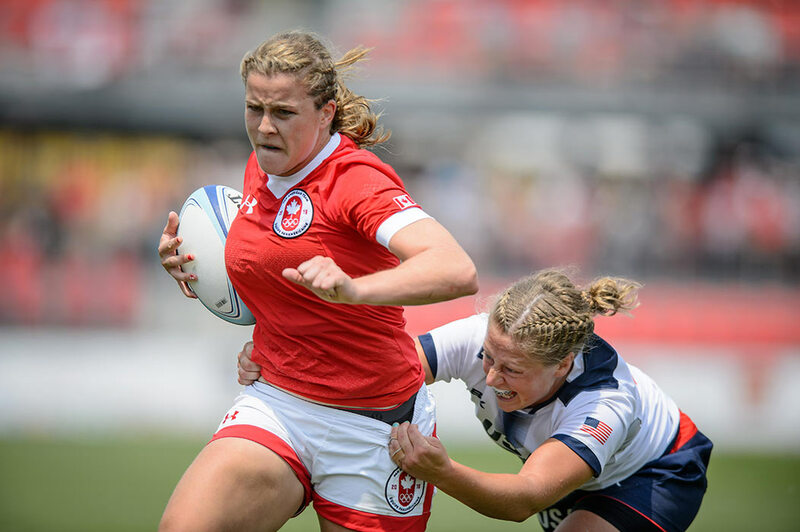 July 5, 2015: Members of the United States Women's national soccer team celebrate after winning the 2015 FIFA Women's World Cup at BC Place, Vancouver, Canada. 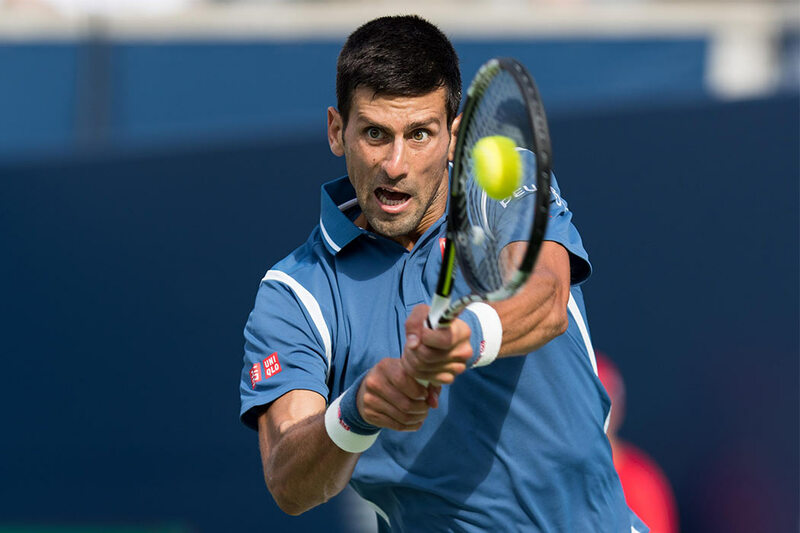 July 31, 2016: Novak Djokovic of Serbia & Montenegro returns the ball to Kei Nishikori of Japan during the Rogers Cup tournament final at the Aviva Centre in Toronto, Ontario, Canada on July 31, 2016. July 17, 2015: Angel Escobedo of the United States tries to pin Pablo Benitez of Peru during the Men's Freestyle 57 kg Semifinals at Hershey Centre in Mississauga, Ontario, Canada. 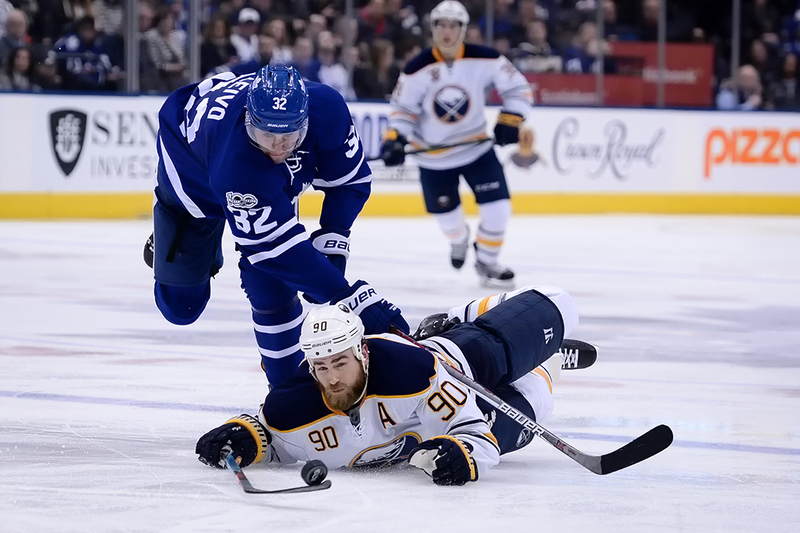 TORONTO, ON - FEBRUARY 11: Buffalo Sabres Center Ryan O'Reilly (90) dives to take the puck away from Toronto Maple Leafs Right Wing Josh Leivo (32) during the second period of the NHL regular season game between the Toronto Maple Leafs and the Buffalo Sabres on February 11, 2017, at Air Canada Centre in Toronto, ON, Canada. 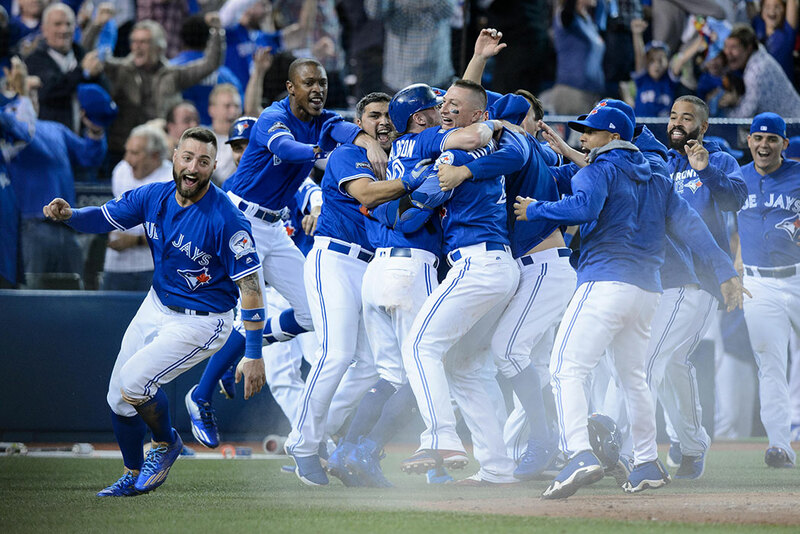 October 9, 2016: Kevin Pillar (11), Josh Donaldson, Troy Tulowitzki (2) and other Toronto Blue Jays players celebrate after winning the MLB ALDS Game 3 against Texas Rangers by a score of 7-6 in the tenth inning at Rogers Centre in Toronto, ON, Canada. 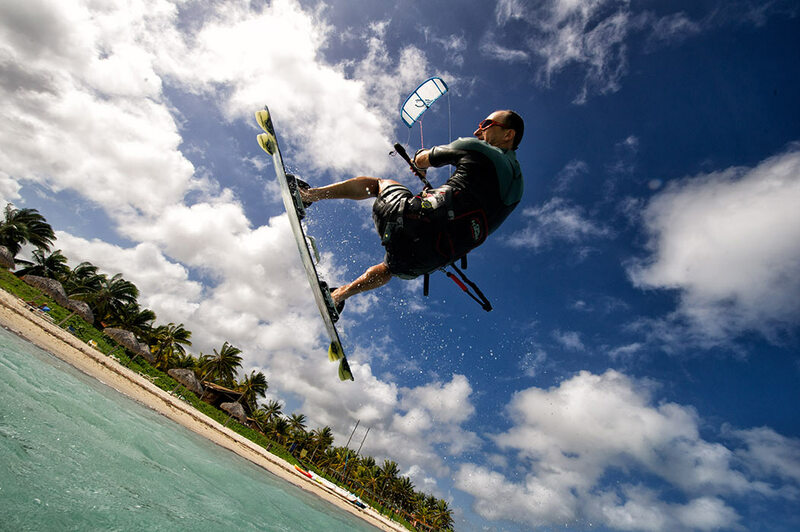 December 28 2013: A Canadian kite surfer practices aerial skills in Santa Lucia, Camaguey, Cuba. 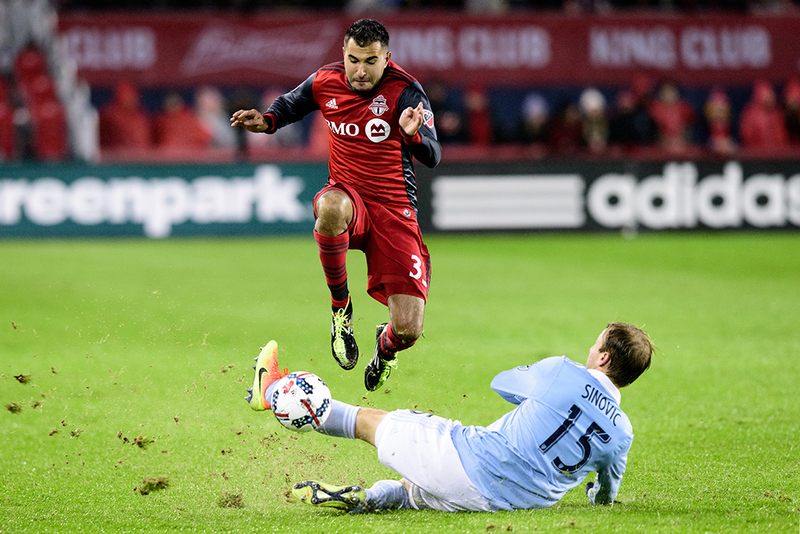 TORONTO, ON - MARCH 31: Seth Sinovic (15) of Sporting Kansas City performs a sliding tackle on Steven Beitashour (33) of Toronto FC during the second half of the MLS Soccer regular season game between Toronto FC and Sporting Kansas City on March 31, 2017, at BMO Field in Toronto, ON, Canada. 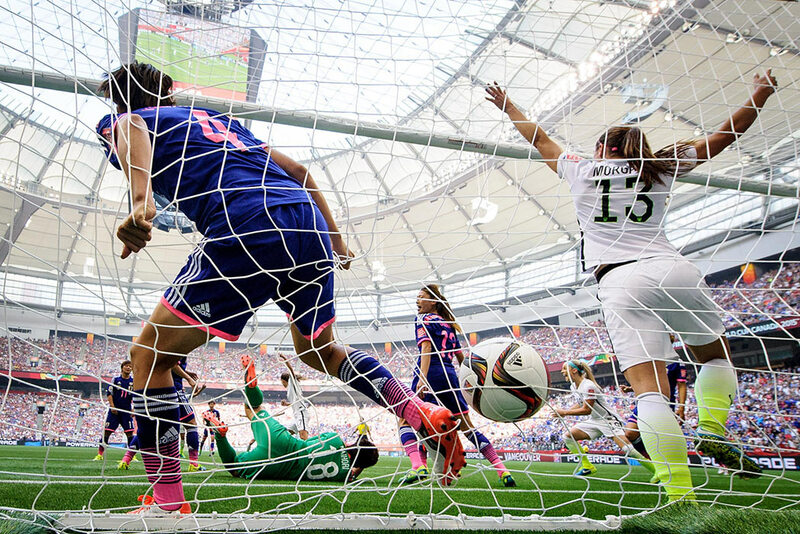 July 5, 2015: Alex Morgan (13) of the United States celebrates the goal scored by Tobin Heath in the 53rd minute of the 2015 FIFA Women's World Cup Final game between the United States and Japan at BC Place, Vancouver, Canada. 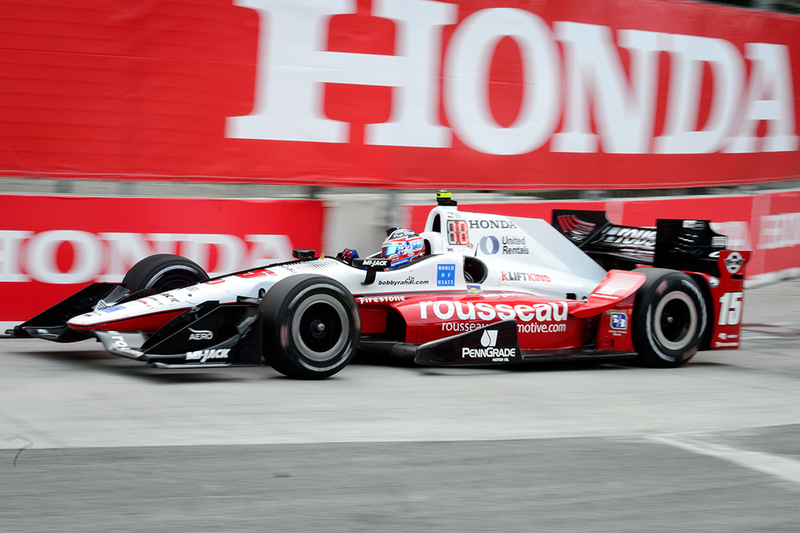 TORONTO, ON - JULY 16: Graham Rahal #15 of Rahal Letterman Lanigan Racing races during the Verizon IndyCar Series Race on July 16, 2017 at Exhibition Place in Toronto, ON, Canada. 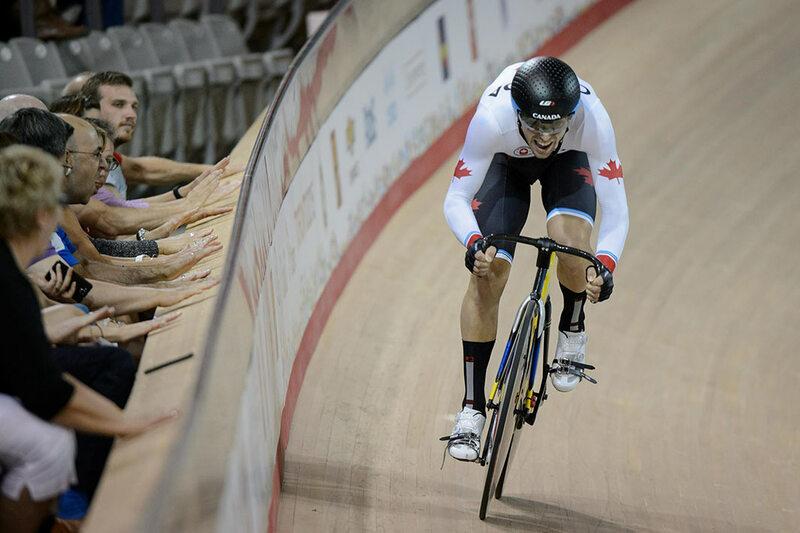 October 19, 2016: In this multiple exposure image Andrew Miller (24) of the Cleveland Indians pitches during the sixth inning of 2016 MLB ALCS Game 5 between the Toronto Blue Jays and the Cleveland Indians at Rogers Centre in Toronto, ON, Canada. 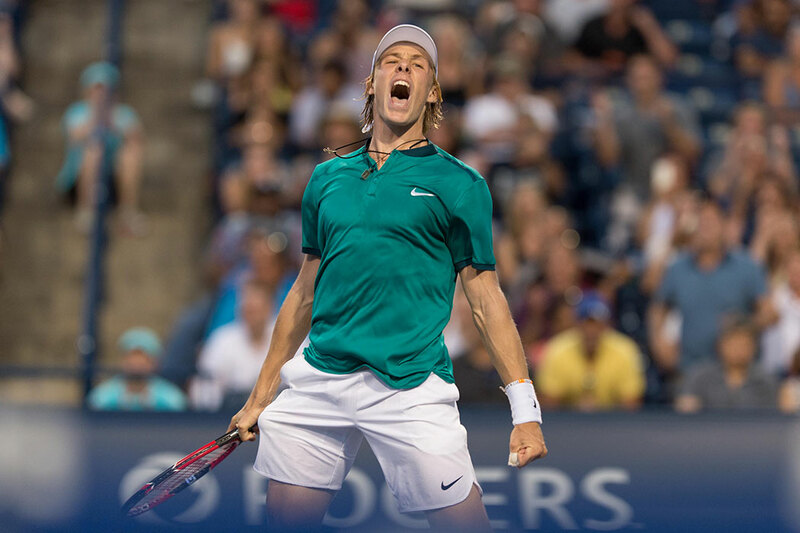 July 25, 2016: Denis Shapovalov of Canada reacts after winning his first round match against Nick Kyrgios or Australia during the Rogers Cup tournament at the Aviva Centre in Toronto, Ontario, Canada. 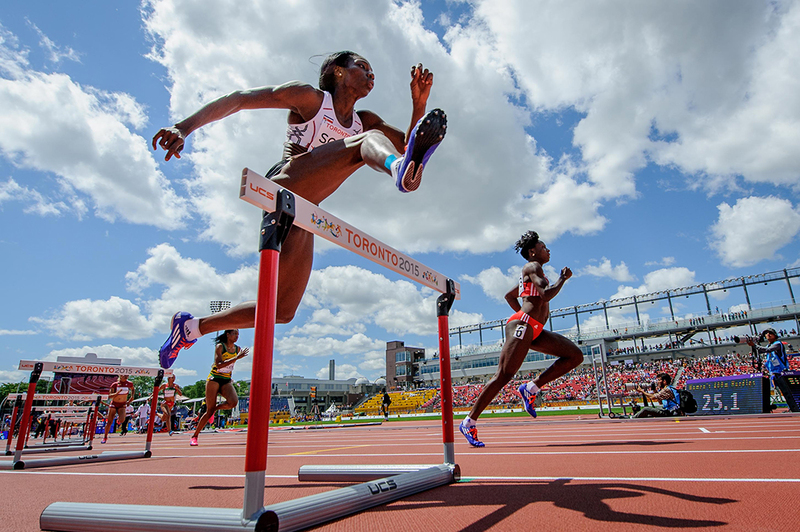 July 21, 2015: Sharolyn Scott of Costa Rica competes in the Women's 400m Hurdles Semifinal at the 2015 Toronto Pan Am games. 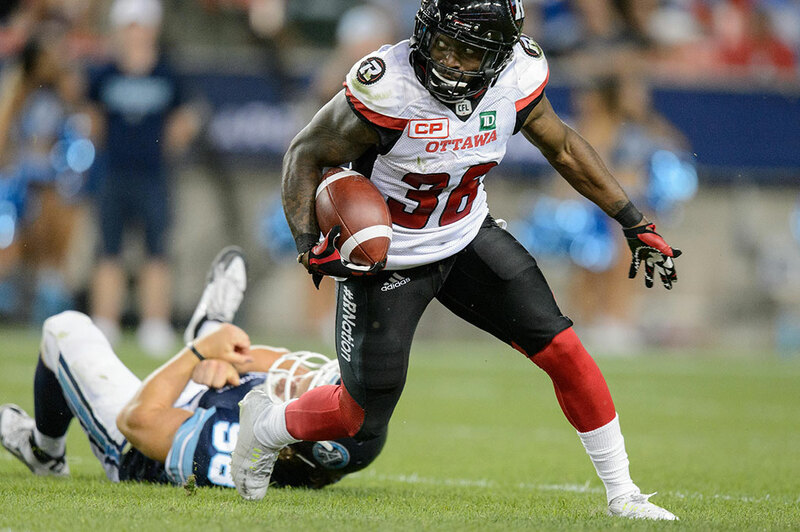 July 13, 2016: Ottawa Redblacks defensive back Tristan Jackson (38) escapes a tackle by Toronto Argonauts linebacker Jake Reinhart (58) leading to a touchdown during the CFL regular season game between Toronto Argonauts and Ottawa Redblacks held at BMO Field in Toronto, Canada. 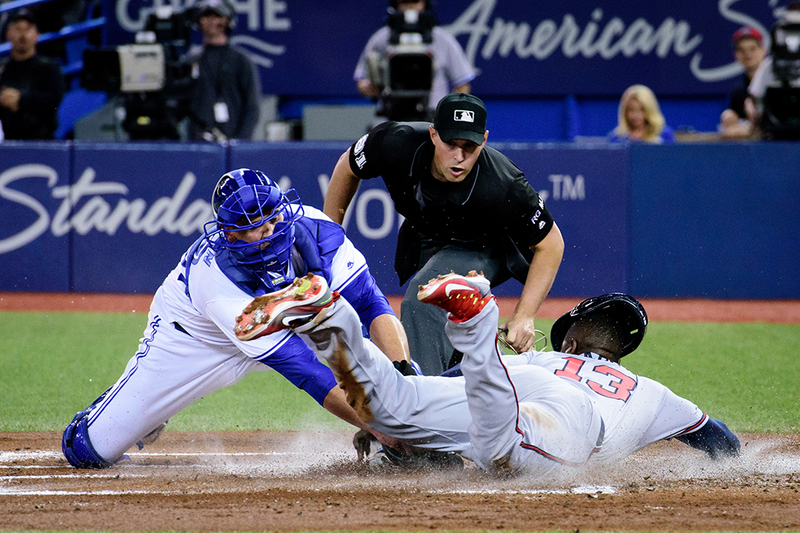 TORONTO, ON - MAY 15: Atlanta Braves Third base Adonis Garcia (13) dives into home plate and is safe during the second inning of the MLB regular season game between the Toronto Blue Jays and the Atlanta Braves on May 15, 2017, at Rogers Centre in Toronto, ON, Canada. 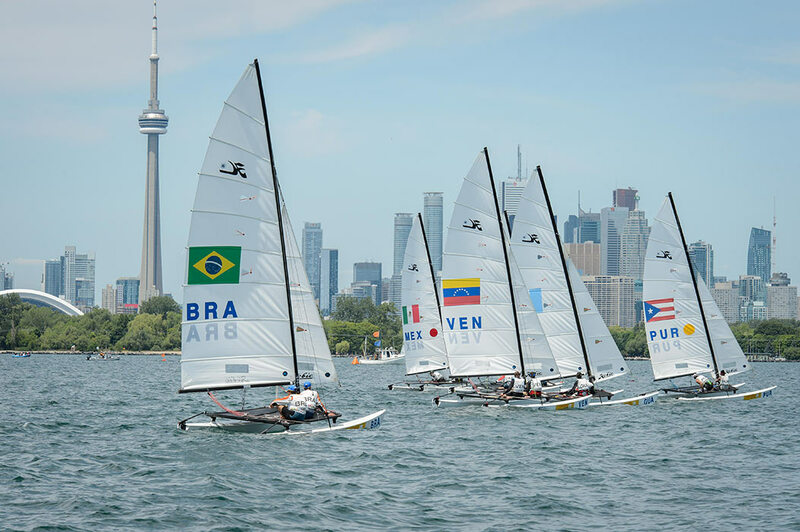 July 16, 2015: Teams get ready for the start of the Open Hobie 16 Series Race 11 on Lake Ontario in Toronto, ON, Canada.